Tape Hair Extensions - Ombré/Sombré Silky Straight (20 Tabs) - Super Hair Factory Inc.
Super Remi® Tape Hair Extensions are made of the highest quality human hair available in the market today. Our tape hair extensions are equipped with our exclusive high-tech adhesive tape to guarantee a firm and long lasting bonding. 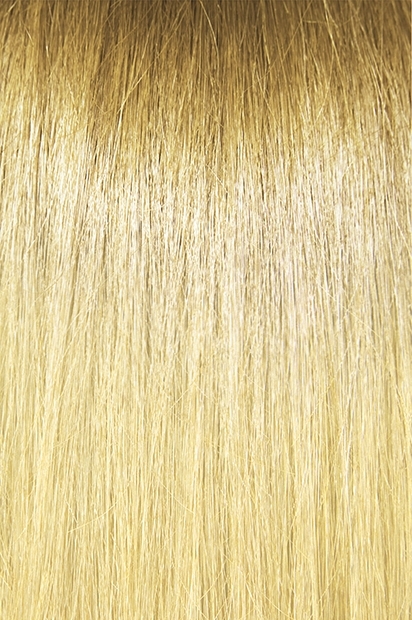 This 100% human remi hair is aligned with cuticles in the same direction for a tangle free guaranteed experience. OMBRÉ/SOMBRÉ colors are darker at the root and highlighted lighter at the tips. 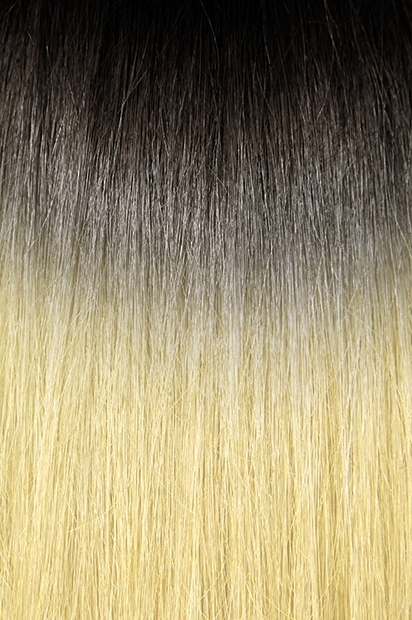 While ombré features two colors that can greatly differ, sombré (a portmanteu of subtle + ombré) has a more natural effect because the lighter/darker shades are much closer in color. Size: 40mmx8mm/Tab, 20 Tabs/2 ounces of 18″ hair. Color Fade: 7″ root color, 4″ color transition, 7″ highlighted tip color. Cleanse scalp hair with clarifying shampoo to remove oil and all other possible buildups. Dry scalp hair thoroughly, especially scalp and root area. Then, section scalp hair with a horizontal straight part. STEP 1: Remove the tape and place the adhesive side of tape hair extensions to the lower portion of the part line, 1/8″ from scalp. Press firmly. STEP 2: This step is optional and desirable for those who need thicker hair extensions. Flip over the unit toward the upper portion of the part line. You will see the scalp hair that is adhered to the unit. Then add another piece of tape hair extensions back-to-back to sandwich the scalp hair between two tape units. Press firmly. Repeat step 1 or both steps where you desire to add extra tape hair extensions. Press firmly and then place the hair to its normal position. 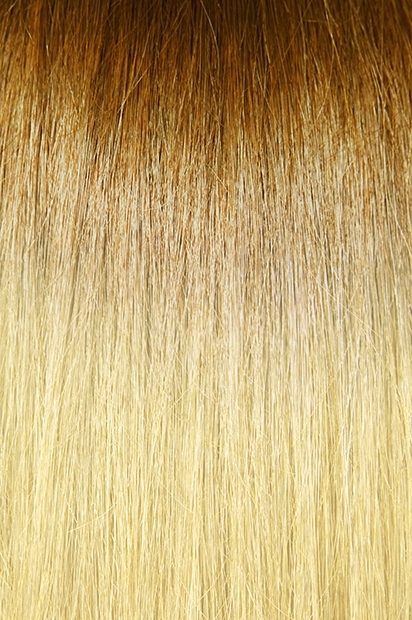 Wait at least 48 hours after the application before you first wash your hair and tape hair extensions.